We do also run public workshops in an intensive one-day format (we know you are busy) so that you can 'taste' the full program and benefit by acquiring and developing some of the key tools and skills from that program. To help get the most of each program we send you some materials ahead of the face-to-face session and provide ongoing support to help you consolidate your learning and put to action. Here's our Course Calendar and Registration page. Note also that we are running these courses in the English language. We also offer these courses in other languages in-house - for example Think on Your Feet® in German, Presentations Skills in French, NEWS Navigation programs in Dutch. Our public courses are running near Brussels in Belgium - only 2-3 hours from London, Paris, Amsterdam or Dusseldorf by train, and by air from anywhere in Europe. The venue is close to Brussels Airport and well situated for fast road and rail connections. You will find more practical details specific information on the venue at the bottom of this page the Course Calendar & Registration page. We can also help to run these sessions anywhere in the world, face-to-face or indeed increasingly through high-speed and interactive webinars. We can also put you in contact with more local providers of these flagship programs if you are not so close to Belgium! We can also run these courses in different languages as you prefer. Finally, note that if you attend one of our courses and you are anything less than satisfied, we will return you registration fee, no question about it. Please get in touch with us via the Contact page. Looking for a Team Event for end of 2013? Looking for a seriously engaging and effective process to (re)align team potential and plan for 2014? Team Navigation: This 2-day session is suitable for organic management teams, various departments e.g. R&D, Finance, Marketing, Special Project management teams. In general, organic/intact teams or cross-functional teams in a matrix organization should attend this program. Visit our Navigation Programs page to find out more. Organizational Navigation: Senior Leaders are expected to navigate through a sea of challenges, multitude of choices and constant change. They have to steer their way through unforeseen challenges while managing the internal corporate environment. The Navigation process is needed in situations where: Organizations are ‘stuck’, when creating alignment within lead teams is critical, when managing change, as part of mergers and acquisitions or as a structured process for annual strategic planning. This 2-day session provides the ideal framework to lead change in an organization and get everyone ‘on-board’. "Leading Together in a Changing Reality"
Timing: Each day runs from 09:30-17:30 and lunch and refreshments are provided. Group size: As the courses are intensely practical, interactive and hands-on, we are limiting the size of each workshop to 12 delegates to optimize opportunities for quality discussion and individual feedback. 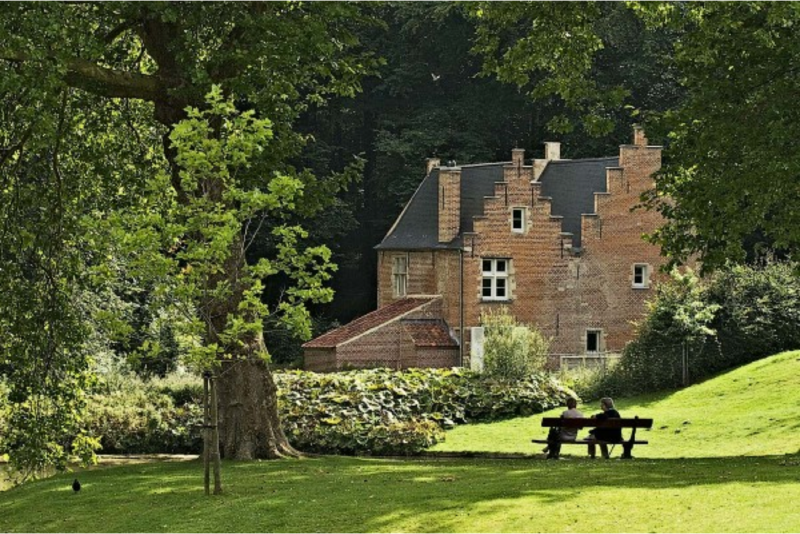 Venue: Each course takes place in the unique and charming venue of 'The Spanish House' in Tervuren Park near Brussels in Belgium (see right). The Spanish House offers a break from your usual work environment that will refresh, stimulate and energize thinking. Directions: The Spanish House is in Tervuren Park, and is conveniently located midway between Brussels and Leuven, and close to Brussels Airport and the major road intersections from The Netherlands, Germany, Luxembourg and France. There is ample parking in Molenberglaan, which runs along the outside of the park. It is then a short (150m) and flat walk through the park to the Spanish House. See map below.